Are you tired of being a Facebook amateur? Do you wish you could make some real money with Facebook like everyone else? 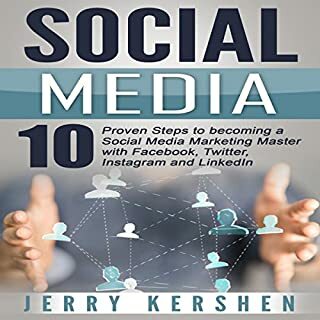 Whether you want to (1) know the basics of being successful with Facebook, (2) learn how to optimize your Facebook ads, or (3) make a full-fledged plan of action to make money with Facebook, this audio book will teach you everything you need to know. Do you want to dominate social media? Have you ever wondered if there was an exact blueprint on how to dominate social media marketing? Do you want to grow your followers and your brand? Are you looking to increase your online presence? 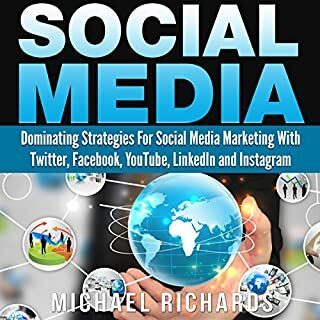 When you download Social Media: Dominating Strategies for Social Media Marketing with Twitter, Facebook, Youtube, LinkedIn and Instagram, your followers and social media will start to grow rapidly! Good info for a beginner in social media. Discover how to master social media for your business! Let the world know you! Social media has opened the door for everybody to promote almost anything. It doesn't have to involve any money because it works in a way that money can't necessarily buy. Having a big presence is not just for the big companies anymore. It doesn't matter if your business is a small home business, or a large corporation, you can promote your business beyond national boundaries with social media. Learn social media marketing in plain English - step-by-step! Buy the workbook used at Stanford continuing studies to teach social media marketing for business. Have you ever seen advertisements on Facebook and asked yourself, "How can I do that for my business?" Well if you've ever been on Facebook, then you've definitely seen ads...because that's how Facebook makes its money. And here's the good news: Advertising on Facebook is incredibly easy to do and it's even more incredibly effective! It is now a proven fact: you can make real money online. Even as many people continue to view the internet as a sheer waste of time in terms of earning a living, the internet has repeatedly proven itself a profitable area for anyone from any part of the globe to earn a decent income. Have you tried many marketing books before? Perhaps you are tired of the information they leave out? Online marketing is a hot topic, with everyone believing they can make money using the same techniques that are told and tried over and over again. It makes sense that you want a step by step plan on how to effectively market your business on social media, and you do need to start somewhere. Google's AdWords platform enables you to create pay-per-click advertisements that appear as "sponsored links" when someone searches for content related to your product or service. You bid for the position to place your ad, and you only pay when someone clicks. It's that simple. If used correctly, AdWords can garner higher targeted traffic, which in turn will increase your conversion rates and profits. From the internationally bestselling author of No god but God comes a fascinating, provocative, and meticulously researched biography that challenges long-held assumptions about the man we know as Jesus of Nazareth. Sifting through centuries of mythmaking, Reza Aslan sheds new light on one of history's most influential and enigmatic characters by examining Jesus through the lens of the tumultuous era in which he lived: first-century Palestine, an age awash in apocalyptic fervor. Palastinian Politics 4 B.C.E. - 70 C.E. Learn how to get over 500 new Facebook fans every month and turn your fans into lifelong customers using this proven strategy for Facebook marketing and monetization. Written by a successful online marketer and social media marketing consultant, this no fluff step-by-step guide. 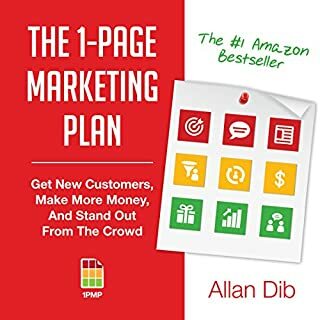 This audiobook will help your dramatically increase your profits online and will turn Facebook time into a fun way to earn more money and grow your business. A colossal entity with almost one billion daily users interacting with each other and checking their newsfeeds for updates about the world - any smart digital entrepreneur will recognize the utmost importance of effectively using Facebook, the most powerful form of social media, to their advantage. Though it might first appear as a friendly, simple tool for modern social interaction, Facebook is undoubtedly one of the most complex marketing forms of the current age. Unlock the secrets to Facebook marketing success - now! With its gigantic user base, Facebook has developed to become a huge marketing opportunity. Facebook is ubiquitous in modern life. Words such as search engine optimization and affiliate marketing should be parts of every marketer's lexicon. The opportunities Facebook presents for businesses to connect to their customers and advertise their products and services,as well as manage their brand identities is simply too good to pass up for any serious business. By not optimizing the myriad of possibilities Facebook offers to the modern online entrepreneur, you are leaving money on the table! 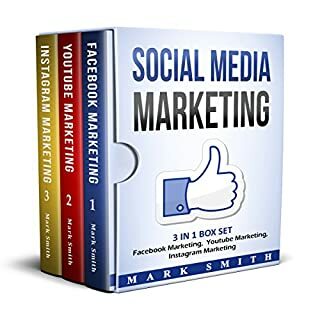 By purchasing this book, you will learn how to make your content successful on Facebook, how to use the specific business tools Facebook provides, and how to use Facebook to intelligently market your brand. Even those who are relatively up to date with the ways that the rest of the Internet can be used to market still need to learn to take the next step and utilize Facebook's full potential. 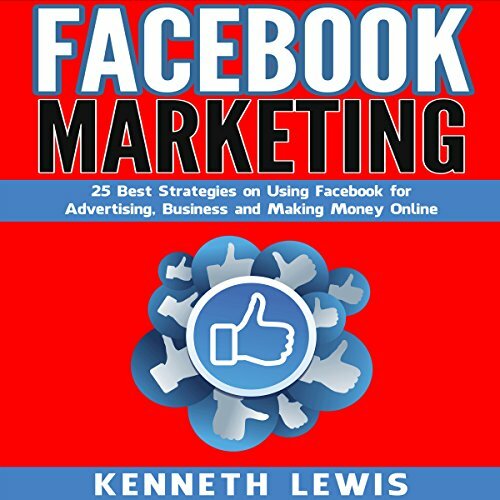 This audiobook is a great quick refresher course on the basics of Facebook marketing. It scratches at the surface of each Facebook marketing strategy so it will not satisfy the novice but will remind the experienced marketer of strategies they may have a neglected. Quick read. Great performance. Worth the audible credit. 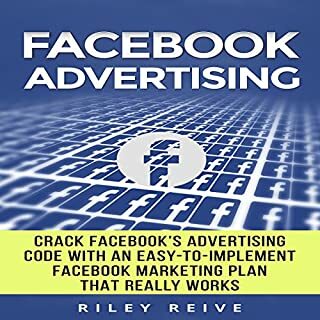 Where does Facebook Marketing: 25 Best Strategies on Using Facebook for Advertising, Business and Making Money Online rank among all the audiobooks you’ve listened to so far? This audiobook ranks in the upper 10 per cent of the audiobooks on business I have listened to. Although the subject matter it's a bit complicated, it was delivered well. What about Jeff Machado’s performance did you like? Jeff assumed a conversational style that was easy to listen to. Powerful message in tune with the times. I received no compensation for writing this review. I did receive the audiobook free with the proviso that I write an honest review. As for the audiobook, the information was so good, I wanted to experience it with more than my ears. I wanted to read along in the ebook while I listened to the audio. So, I bought the ebook version. I recommend this work for a good encapsulation of what you need to do to increase your chances of success in facebook marketing. Who would have thought!?! Facebook isn’t only for socializing but there are actually 25 DIFFERENT marketing strategies you can use to market your business on Facebook! And this guide will introduce you to them! You’ll learn how to create ‘magnetic’ content and effective posts that can stand out, how to advertise strategically, how to get people so fired about your product that they help you to spread the word, and so much more. Each strategy is explained, but you’ll need to do further research to be good at each, I think. You’re introduced to the concept, but some are easier to do than others. If you want to start your journey with Facebook Marketing 101, this is the audiobook for you. This is the only business related audiobook I have listened to so it ranks at the top. This book delivered exactly what the title promises and more. What I didn’t expect was that it would help me get motivated to start using Facebook again. The 25 tips were fabulous. A few were basic, but they were a nice refresher. There were also numerous gems. I especially liked the tip that explained how to use contests, offers and rewards. Then there was the one that suggested using fan made content. My favorite tips were: #12, #14, #19 and #22. They all sound like so much fun. 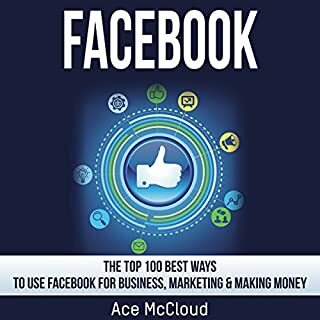 Whether you are new to Facebook for business or a pro this book has tips you should be using to bring in more money using Facebook. The narrator was fantastic! He was absolutely perfect for this book. The audio version was about 45 minutes long, which was perfect for a quick listen. For a short book I ended up with 3 pages of notes. I know I will refer to them often and I can listen to book anytime. Have you listened to any of Jeff Machado’s other performances before? How does this one compare? No, but he is fabulous and perfect for this book. I recommend this book for anyone who uses Facebook for business. Needed some buæletpoint type advice for my next campaign and it gave some good inspiration. Not very in depth book, but good for the price. The book is worth buying if you are a beginner with FB marketing as myself. Nice advice that is easy to follow. Stay away from this crappy and cheap marketing attempt. Check "The New Rules of Marketing and PR" instead.